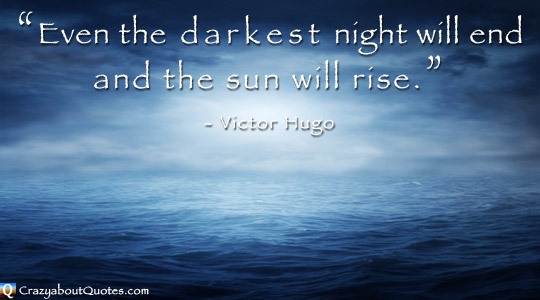 Les Misérables is a masterpiece of writing, so it should go without saying that these Victor Hugo quotes are as equally impressive, and inspirational. I hope you enjoy. Victor Hugo was born in France in 1802, he did however spend 19 years of his life (1851 - 1870) in exile in Brussels and Guernsey. During this time he wrote most of Les Misérables for which he is now best known. It was published in 1862 and is considered one of the great novels of the 19th century. 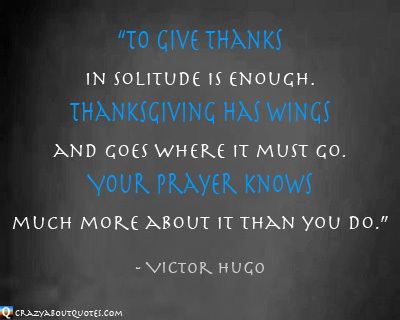 Hugo is also the author of Notre-Dame de Paris (The Hunchback of Notre Dame). On returning to France in 1870 he was declared a hero and re-entered politics working for social and political change. Hugo died at the age of 83 in 1885, he was given a hero's funeral which was attended by over 2 million people. it banishes winter from the human countenance." loved in spite of ourselves." as long as they are sincere." Your prayer knows much more about it than you do." and truth in the darkness of the mind." "Love each other dearly always. God does not make it grow on limbs too weak to bear it." the soul is on its knees." 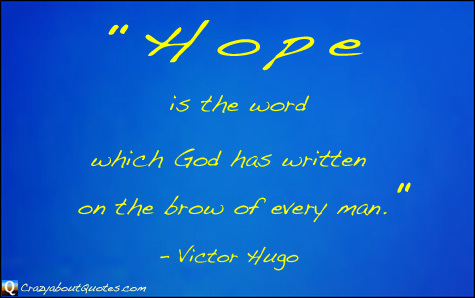 "Hope is the word which God has written on the brow of every man." through a labyrinth of the most busy life."